Ephesus is a visually-driven church website design with clean lines and easy-to-use buttons that help to welcome new visitors. Ephesus begins with a large image or video background that can be set up as an image rotator. 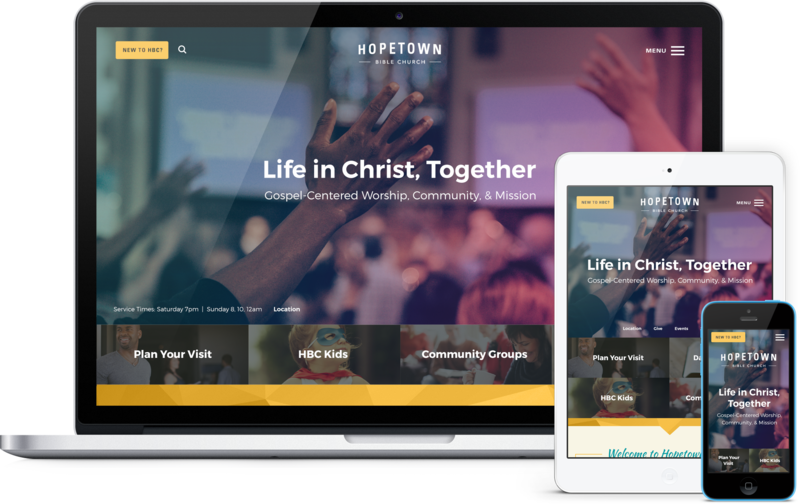 With a prominent "New Here" button, centered logo, and mobile-style slide-out menu, this design provides a unique and modern feel for any ministry. Following the header and slogan are 4 text/photo quicklinks, a prominent welcome area, and a listing of 6 featured events with images that keep the eye engaged.